Every detail counts when it comes to restoring the operating condition of your garage door. When it’s time to consider garage door repair in McKinney, TX, look no further than our experienced team. We have the experience and expertise to troubleshoot and resolve a variety of door malfunctions, allowing you to uphold the security and integrity of your property. Count on our garage door repair company to deliver decisive results that will save time, money, and energy. For more than 18 years, our garage door contractor has helped commercial and residential clients with their repair and replacement needs. Since we take a client-oriented approach to service, you can have confidence knowing that the services we recommend are the ones you need. That way, you are able to focus on getting effective results while also staying within your schedule and budget. We serve a wide area within the state, so you can have confidence knowing your needs will be met. Garage doors are constructed with durability and aesthetics in mind. It should be strong enough to deter intruders and withstand the effects of the weather, yet neat and orderly in order to make your home or place of business attractive. Many installations incorporate different moving parts and components so that the door is easier to operate. So when something goes wrong, it is important to request an inspection as soon as possible. A damaged door is not only unattractive, but it also poses a risk to both your safety and security. Choose a garage door repair company that prioritizes your needs. Our technicians listen to your concerns first before conducting any service. In addition, our rates are competitive: we add value to your service by offering sensible solutions first. In other words, we don’t try to upsell you on something you won’t need. Don’t forget--we’re here to help any time you need it. Our company offers 24/7 live support along with emergency and same-day services. That way, you have the support you need--all according to your time and budget. 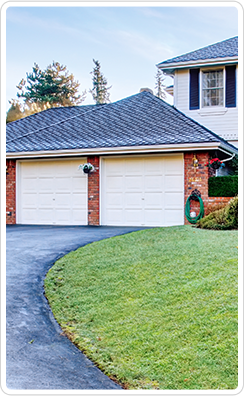 Contact our company to request an estimate for garage door repair. We proudly serve commercial and residential clients throughout Frisco, Plano, Mckinney, The Colony, Prosper, Aubrey, Lewisville, Little Elm, and Allen, TX and the surrounding areas.